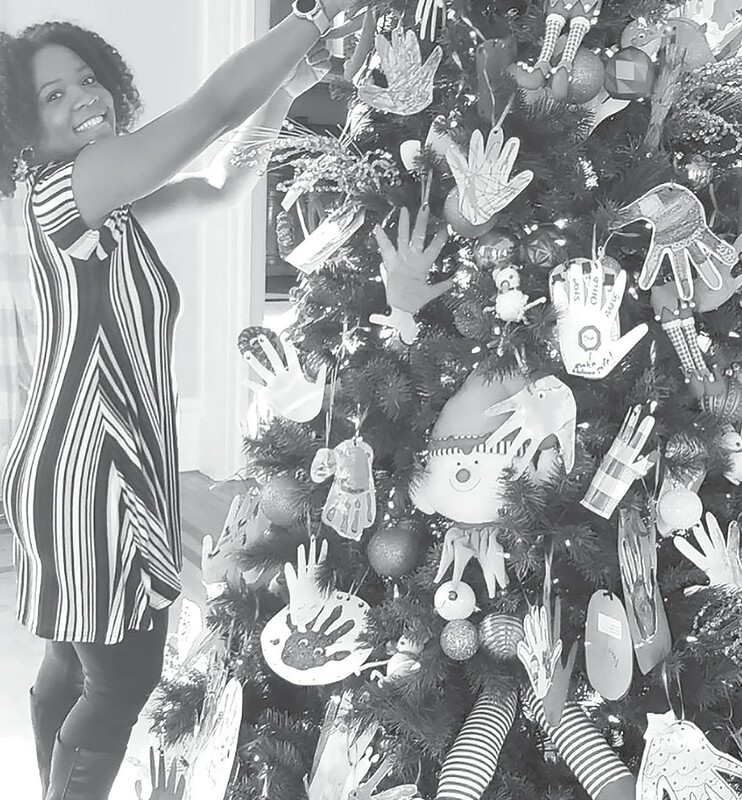 Tiauna Shannon, intern with Child Protect, the child advocacy center in Montgomery, adds ornaments to the Christmas tree in the Governor’s mansion. The Blount County Children’s Center and 34 other child advocacy centers across Alabama were invited to decorate a Christmas tree for the Governor’s mansion. Together they decided to use children’s handprints as the theme, to represent abused children who received care and support from the child advocacy centers across the state. The Blount County Children’s Center staff asked 10 of their client children to make their handprint in their own unique style using paint, glitter, and such. These were laminated, combined with those from 340 other Alabama children, and placed on the tree in the Governor’s mansion. The Governor’s mansion is open to the public for Christmas tours throughout the holiday season.